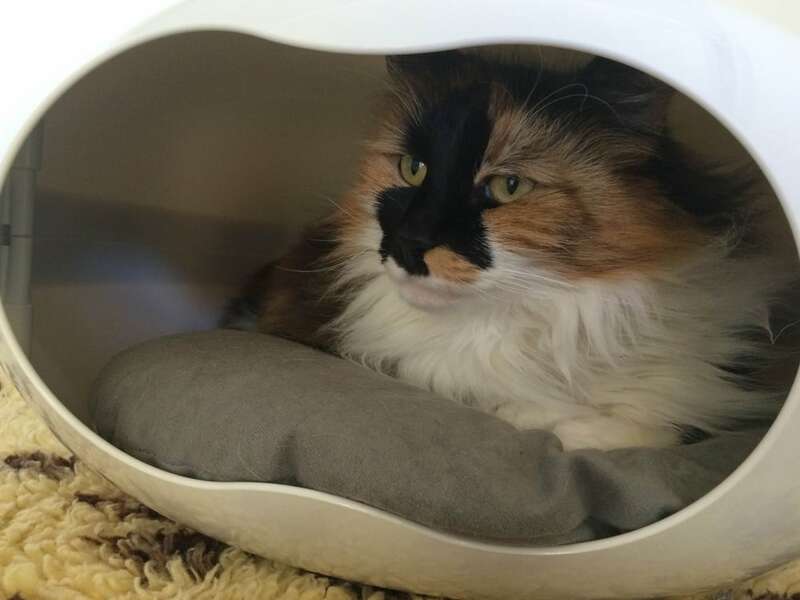 Established in 2007, our cat hotel has been designed to keep your cat safe, warm and comfortable during their stay. 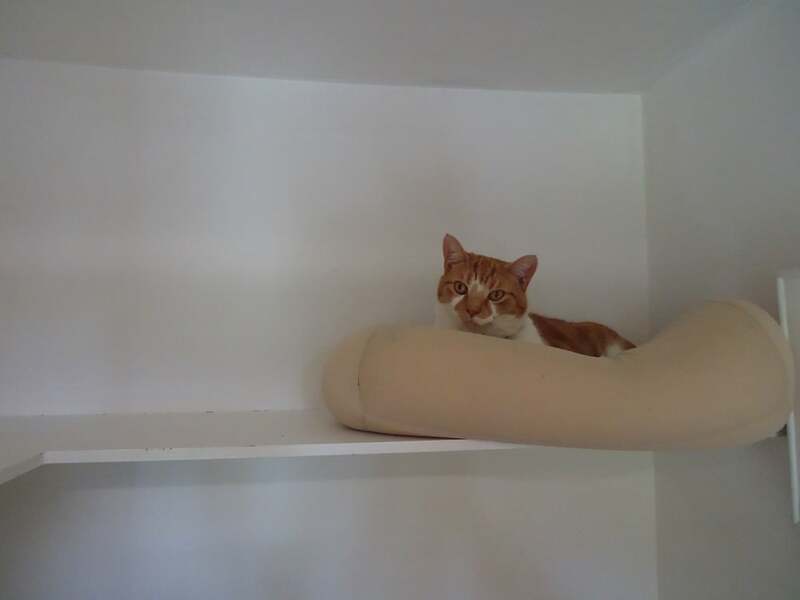 With four sizes to choose from our penthouse accommodation offers plenty of room for your beloved felines. When your kitties come to stay in our luxury penthouses their primary carers are Stephen and Claire, our dedicated cat caring assistants. However, our Veterinary Nurses, Ilona and Holly are also on hand to provide veterinary nursing care, should this be required during your cat’s stay. If you have several cats that need to stay with us, then that’s not a problem. We have adjoining suites. This means that even though they’re away from home, they won’t be lonely. Each suite has been designed for comfort and contentment. We understand you may feel anxious about leaving your pet whilst on holiday, so we want to make sure that they’re as happy as possible during their stay. 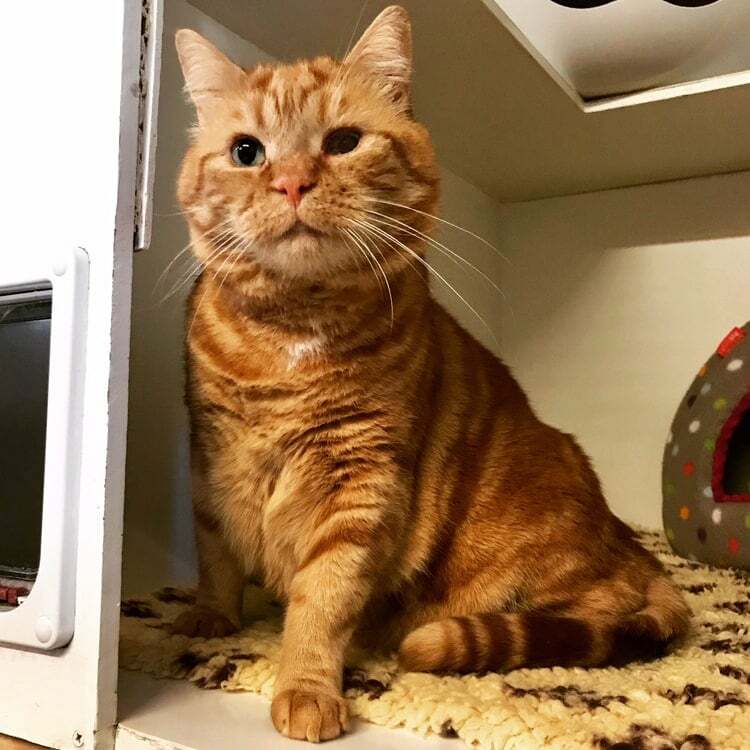 You are able to book a suite in the Cattery up to one year in advance, so if you do have an inkling that you will be going away and need this service, it is always good to call up as soon as possible. Use horizontal scroll on tablets and mobiles to view all of our penthouse prices. Please read our cattery terms & conditions carefully. Inside you will find information that will help guide you with any preparation required so that your pet is ready to stay with us before your booking date. Admission to the cattery must be no later than 4pm on the day of arrival. All cats will be examined for fleas on admission. If not recently treated, suitable medication will be administered and treatment will be given at your expense. If your cat has been treated for fleas at home prior to entering the cattery, the following flea preparations will be accepted: Frontline, Advocate, Advantage, Effipro, Capstar, or Stronghold. For Worms the following products will be accepted: Milbemax or Drontal. All cats must be fully vaccinated against cat flu and feline enteritis prior to admission. This means each cat must have a valid vaccine certificate signed by a vet and vaccines must have been administered within the last 12months. For hygiene reasons, all bowls, litter trays and bedding are supplied by Animal Medical Centre Garden Cattery. Bedding can be supplied by us or the owner. But Animal Medical Centre takes no responsibility for loss or damage to any bedding, toys etc that are supplied by the owner of the animal. All male cats over the age of 6 months must be castrated; this is to reduce stress levels among other boarding cats. 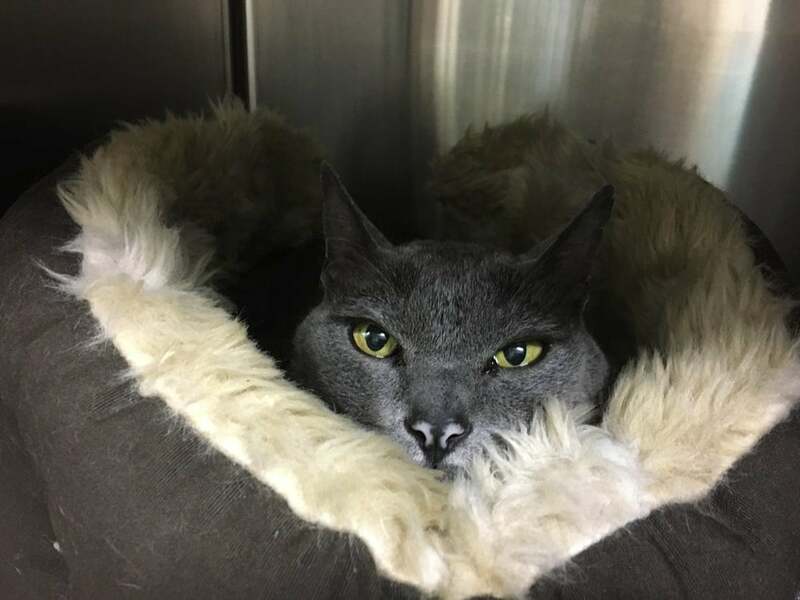 If your cat is not under veterinary care at Animal Medical Centre and is registered at another veterinary practice, please supply details of your current veterinary practice at time of admission. If your cat becomes unwell whilst staying in the cattery, we will contact yourself or your agent by telephone. 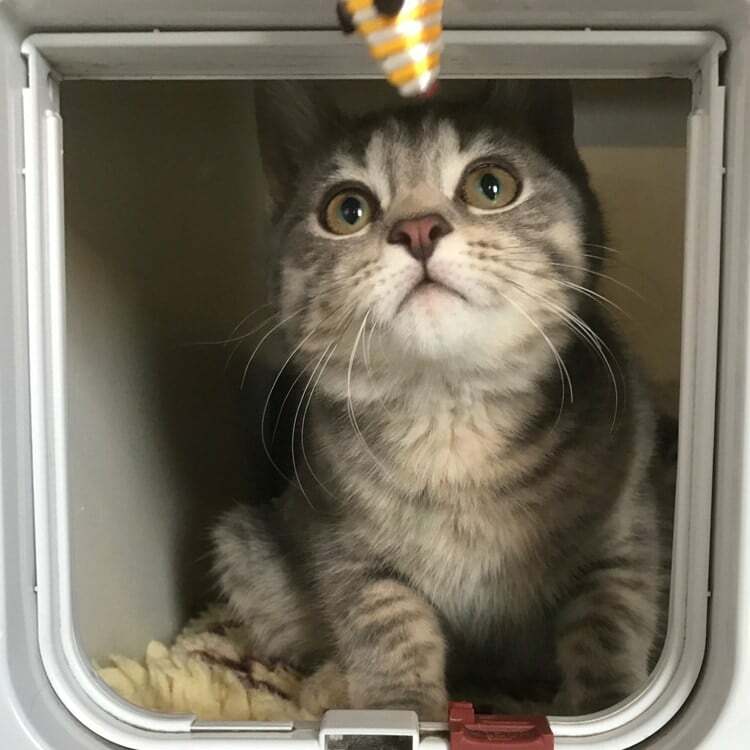 Should it prove necessary cats may be removed from the cattery and admitted to the cat ward and as such any medical boarding fees and veterinary treatment will be given at your expense. Boarding fees on a bank holiday will be double the fees for a regular day. Cats will not be admitted or discharged on bank holidays. Cats are boarding at the sole risk of the owner and whilst every care will be taken, the management shall not be liable for loss, injury or death or any problems such as stress or ill health arising from their visit. All outstanding fees are to be paid at the time of collection. Without any prejudice to any lien confirmed by law, management shall have a lien for any animal in their possession boarded by owner to secure all monies owing by the client under this agreement. Then get in touch with us today to speak to a member of our cattery team.